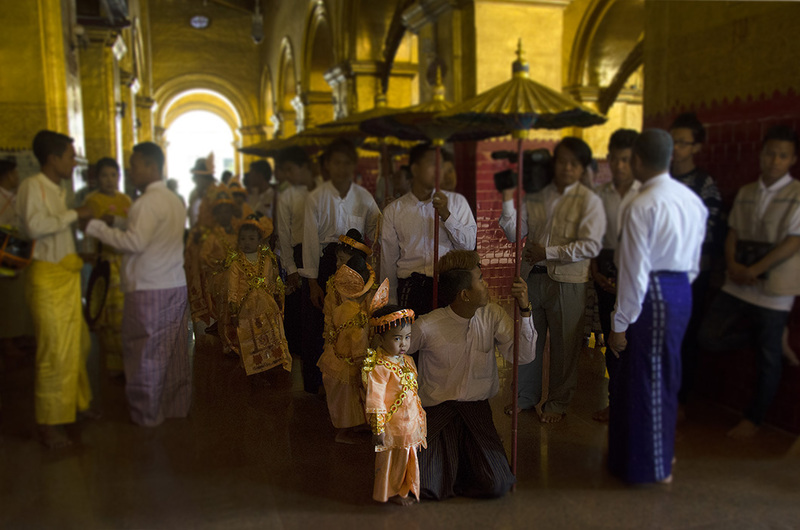 As long isolated Myanmar straddles the cusp of momentous change, the world is waking up to the country’s storied heritage. Its cultural legacy and its rich, living traditions. Go now, before the magic and the mystique gets eroded by the inevitable influx of visitors. We spent two whole weeks, including nine days floating down the Irrawaddy, (nearly) all the way back to Yangon. But a week should afford one a fair overview of the main attractions. The traditional and the colonial. Begin in unexpectedly modern Yangon, formerly Rangoon. 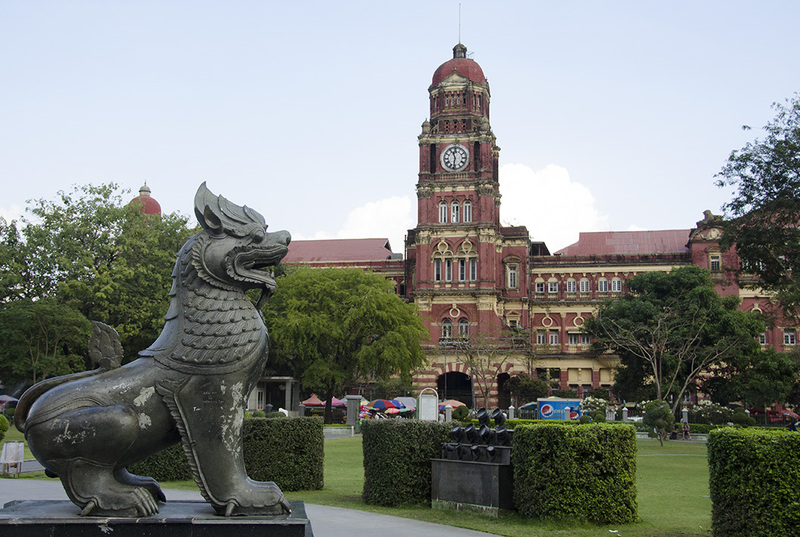 Depending on your time of arrival and your inclination, take a downtown walk to admire Yangon’s colonial architecture, pop into the Sule Pagoda, visit the national museum to ogle at the famed Lion Throne, haggle in Bogyoke market or linger in beautiful Kandawgyi park. 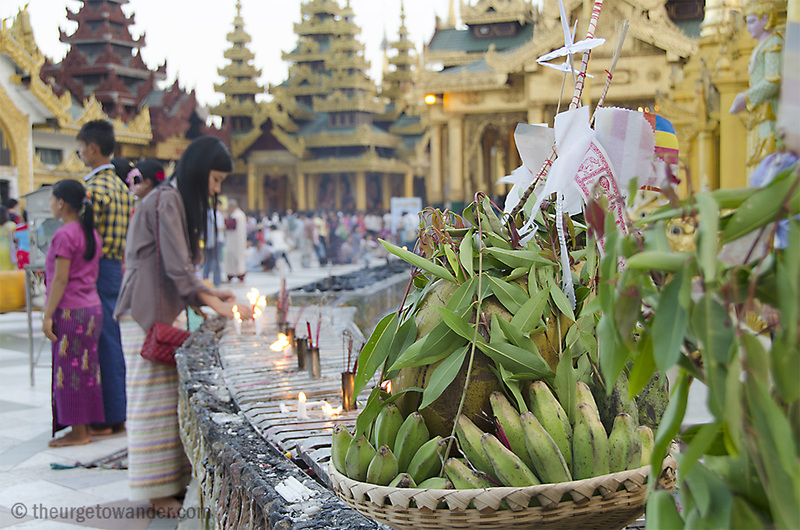 Save Yangon’s glittering landmark, the Shwedagon Pagoda, for your final day. You will want to enjoy it at leisure and you certainly won’t want your pagoda experiences in the rest of the country to be spoiled by this icon. A panorama like no other! 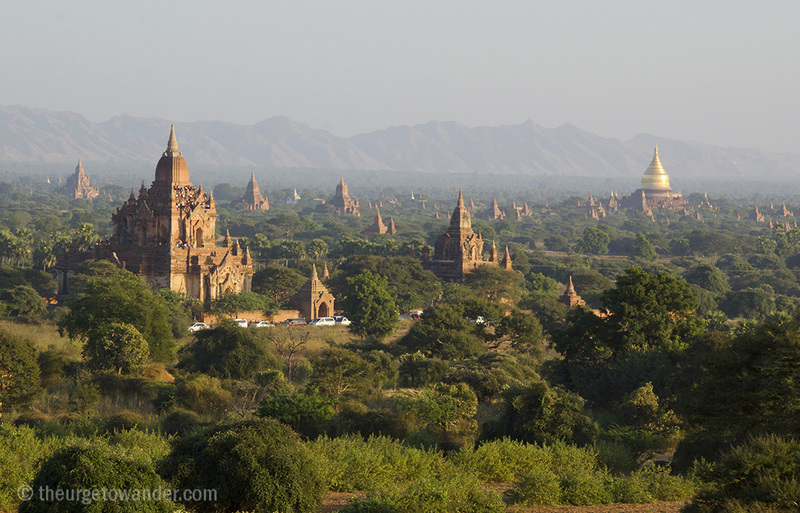 On day two, take the first flight into Bagan. Choose a maximum of four to five – from the 2300 or so pagodas that survive in these amazing plains – to explore over two full days. There is no dearth of ‘best to visit’ lists online. The massive Dhammayangyi Temple, the elegant Sulamani, the 12th CE Htilominlo, the stunning Ananda Paya, the glittering Dhammayazika and the Gubyaukgyi with it’s amazing frescoes, are the most popular. Nearly deserted temples like the Pahatothamya and the Thambula make for far more atmospheric visits. End the day on the fourth level of the multi terraced Shwesandaw Paya, for spectacular sunset views. Wake up early on day three for a magical (albeit pricey) balloon ride over the pagoda fields. Sitting atop an isolated monastery (check which ones are accessible beforehand) to witness those balloons soar over mist cloaked pagoda spires isn’t a less magical alternative. Today, drive or take a short flight into Mandalay, the last royal capital from where King Thibaw was banished into exile in India. The ornately carved Shwenandaw Monastery is the lone major surviving structure from the original Glass Palace. Skip the newish reconstruction of the rest, and head to the Mahamuni Pagoda with its 13′ tall gold leaf encrusted living Buddha, and the Kuthodaw pagoda that holds the ‘largest book in the world’. The ‘book’ is in actual fact a series of stone inscriptions in individual shrines. On day five, explore some of erstwhile Burma’s charming imperial cities – Ava and Mingun – built and abandoned at royal whim. Continue on to beautiful Sagaing with its living monasteries and over 500 pagodas. 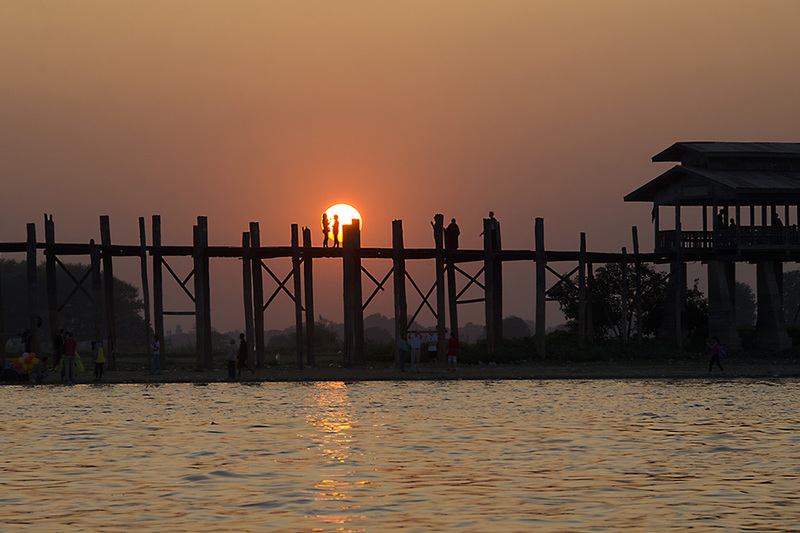 In the evening head over to Amarapura for a private sampan ride on the Irrawaddy, to watch the sun set beyond the very touristy, but oh so picturesque U Bein bridge: the longest teak wood foot bridge in existence. Getting to Inle Lake involves a half hour flight to Heho, a 90 minute drive to Nyaung Shwe, and another 60 – 90 minute boat ride if you have opted for a waterfront resort (highly recommended). Therefore, aim to stay two nights at least. Ringed by the greenest mountains peppered with stilt houses, floating vegetable gardens, golden tipped pagodas and over 400 captivating villages, the 45 square km freshwater lake is an enchanting kaleidoscope of life and Buddhist culture. It was designated Myanmar’s first biosphere reserve this past June under UNESCO’s ‘Man & the Biosphere’. 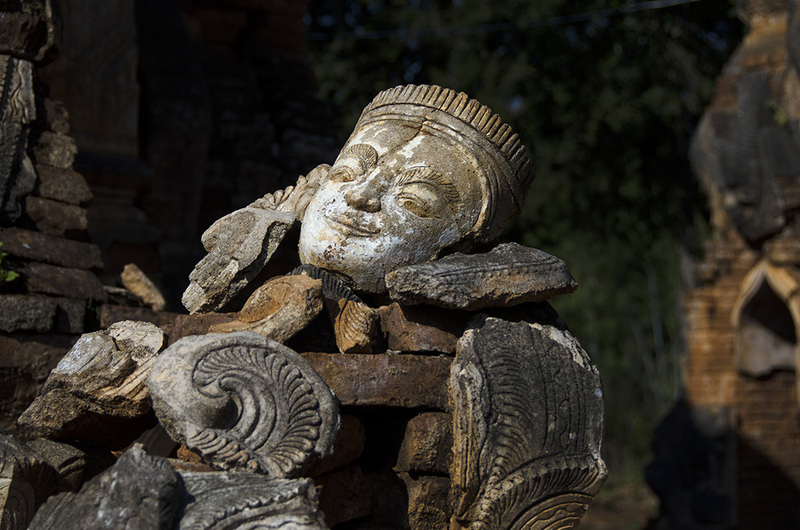 A forest of stupas in Indein, lotus stem fabric weaving workshops and the weekly five day rotating farmers market are the highlights among the things to do around Inle lake. The stars of the lake, however, are the iconic single leg rowing Intha fishermen. The costumed ‘performers’ will put on a synchronised act for a fee, but you will find plenty of real fishermen whose consummate skill and sense of balance will fill you with awe. 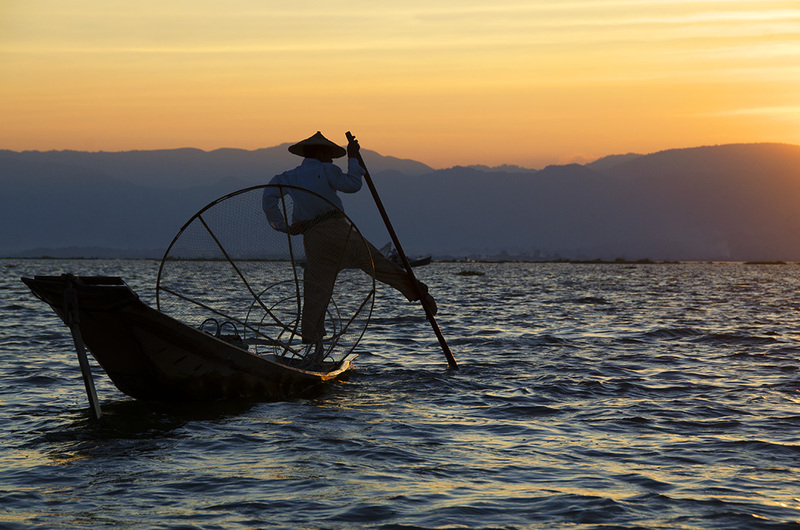 Relax this afternoon after your long journey from Inle Lake. 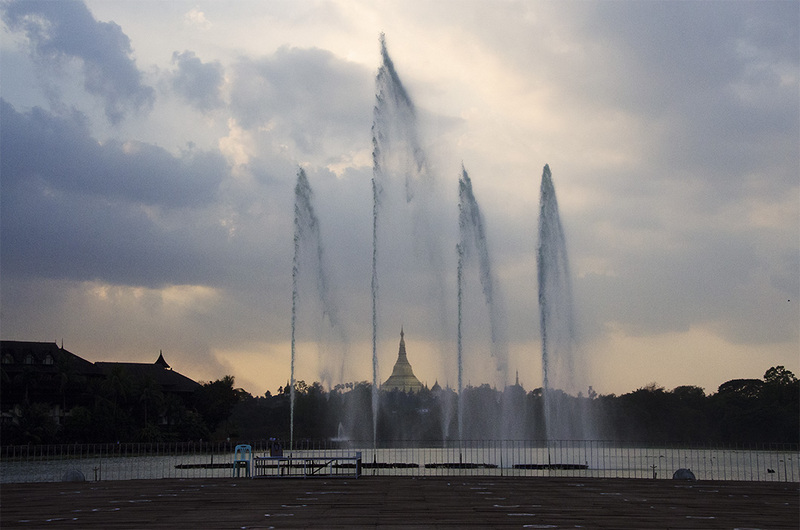 Just before dusk, make your way to the Shwedagon Pagoda. If you have any interest in Indian history, stop by at the Dargah of Bahadur Shah Zafar nearby, to pay respects to Delhi’s last Mughal. If not, explore the side streets and sample some delicious street food, before entering the magnificent golden edifice that you have saved for the last. Marvel at the glorious details, gasp in awe as the majestic Chedi glitters against a sky that transforms from gold to amber to twilight blue. But most of all, take time to connect with the incredible human element on display. The absolute faith and the deep optimism of an entire nation. Flights: Thai Airways, Malaysian Airlines and Air India offer the most best flight options from India. Several domestic carriers ply the Yangon/Mandaly/Heho route and can be booked online or via local travel operators. Visas: Mandatory for Indian citizens and best availed of beforehand. PS: This is the first of a long overdue ‘Itinerary’ series, in response to popular demand. 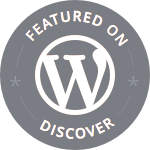 Stay tuned for a more comprehensive travel resources page. This is a nice itinerary for those who only have one week in Myanmar. I wonder where the share buttons have gone, though. Your photos are, as always, stunning. But that particular photo of U Bein bridge is sublime! I am experimenting with a portfolio page, and am not quite sure why the likes and share buttons are missing! Shall have to ping WP support for help. They certainly have spruced up the place since my many visits long ago during the era of 24 hour stopovers only permitted. But the glory of Myanmar even above spectacular scenery is the people. The rank and file people are not at all like the leaders of the Burma way to Socialism in that era. They are hospitable and lovely. I echo what Bama said – a fabulous itinerary if you only have a week, and gorgeous photos! It brought back some wonderful memories. Myanmar was a huge highlight for me of all our travels. This evoked so many memories of my time in Myanmar. Great photos, especially the fisherman :).